No. 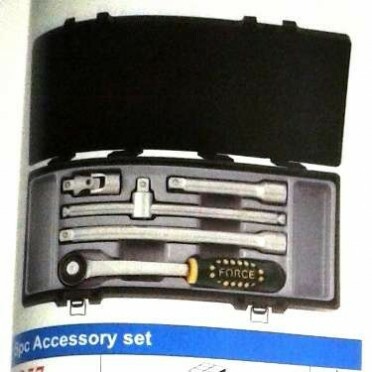 of Tools : 5 Pcs. Contains : 8pcs, 1/2"Dr.8 - Hex Socket Bitset.. Contains : 8pcs. 1/2" Dr.7-10mm Star Bit (30mmL)..